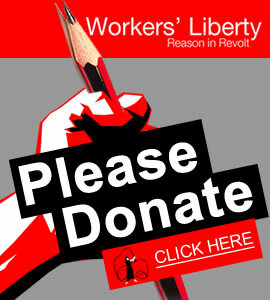 A page for and about Workers' Liberty supporters in Australia. • What will it take to "Change the Rules”? A campaign to get a socialist in parliament for North-West Melbourne in November 2018. Democratic control by workers and consumers of financial services could put an end to the various exploitative practices, legal or not, of the banks. • Independent working-class representation in politics. • A workers’ government, based on and accountable to the labour movement. • A workers’ charter of trade union rights — to organise, to strike, to picket effectively, and to take solidarity action. • Public ownership of essential industries, and taxation of the rich to fund renewable energy and environmental protection, decent public services, homes, education and jobs for all. • A workers’ movement that fights all forms of oppression. Full equality for women, and social provision to free women from domestic labour. For reproductive justice: free abortion on demand; the right to choose when and whether to have children. Full equality for lesbian, gay, bisexual and transgender people. Indigenous control of indigenous affairs. Working class unity against racism. • Free refugees, let them stay, right for workers to remain in Australia without insecurity of short term visas. • Global solidarity against global capital — workers everywhere have more in common with each other than with their capitalist or Stalinist rulers. • Democracy at every level of society, in trade unions, and from the smallest workplace or community to global social organisation. • Equal rights for all nations, against imperialists and predators big and small. • Maximum left unity in action, and openness in debate. Thousands of Australian school students walk out in a strike for climate action.